cHRIS'S DONATION OF UKULELE'S LOVED BY THE VILLAGE! Everyone that visits Papatura Island Retreat is doing their bit for the local villages as we pay them to enjoy their waterways for recreational purposes. We are proud to introduce tourism to this wonderful part of the world as it low impact and sustainable unlike commercial fishing or logging. The locals benefit in many different ways with direct employment, sub contracting with building and supply of materials and supply of fresh fruit, vegetables and lobster or mud crab. We encourage them to create their own micro business for example the guests now go to Kolopakisa Village once during their stay for a traditional village tour and to see the school which was build with help of Stewie and Brett repeat guests to our retreat . Also we sponsor the grade 6 students from Baolo School. There is many more opportunities for those who are willing to be involved as we need tours for turtle watching, bush foods and traditional garden tours, night time crocodile spotting and list goes on. We plan to start village stays up and down the East coast of Isabel which will all be based out of Papatura Island Retreat. We need internet access to provide this service but feel it will be a good opportunity for guests to mix and mingle with Isabel locals. In additional to the above we are proud to have supplied Sisiga, Baolo and Kia school books for their libraries and have donated soccer uniforms to some of the schools. We encourage all guests to bring educational items or sporting goods to donate when visiting the village or school. We do our best to ensure all guests experience a village tour and dance. 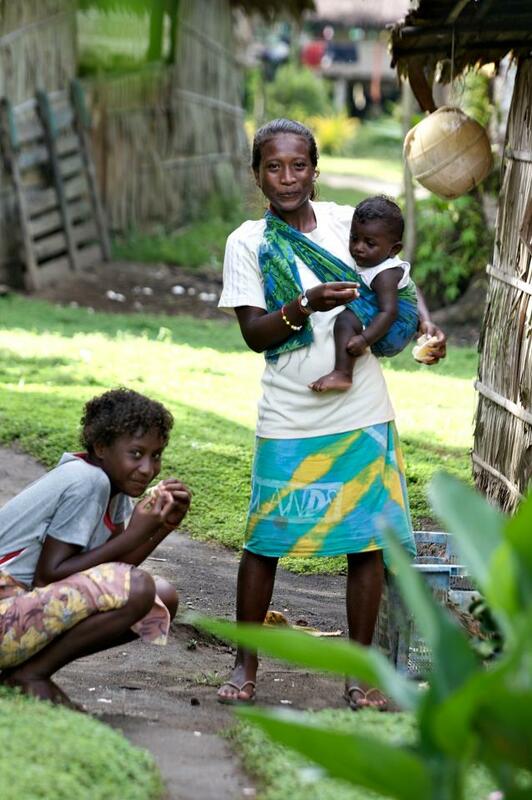 To see the rawness of the Solomons and the way the locals live, visit the school, church and see traditional haus and cook haus. This includes a 30 mins boat trip to Kolompasa Village, local village walk around tour and plenty of time to chat with the locals and kids. For those who wish experience more village life extra trips can be arranged from Papatura. We encourage guests to bring a educational or sporting gift to be left at the school or given to a villager.